Limited edition 500 copies only. This is the first new recording from the enterprising Gearbox Records. Previous issues include Joe Harriott, Tubby Hayes and Michael Garrick and who better to continue that tradition than Hayes authority, tenor saxophonist Simon Spillett. Backed by John Critchinson, Alec Dankworth and Clark Tracey he performs a well-balanced programme with revivals of compositions by Dizzy Reece and Jimmy Deuchar, a lovely ballad, Yesterday I Heard the Rain, his own Square One and a fast version of In the Still of the Night. The quartet is very nicely balanced and, as you’d expect, there’s a warm, natural sound which is very welcome. All the usual virtues of a Gearbox Records release are immediately apparent here. We have a heavy duty, precision engineered piece of vinyl packaged in the kind of striking cover art that Gearbox’s Darrel Sheinman favours with its clean, bold graphic design reminiscent of vintage Blue Note sleeves by Reid Miles. As usual, the record provides noise-free, deep and dynamic audiophile sound. But in one crucial respect this latest LP is a significant departure from the norm. Previously Gearbox has concentrated on archival releases by departed jazz heroes like Tubby Hayes and Joe Harriott, using sources such as unreleased BBC tapes from half a century ago. This album, in contrast, has been newly recorded specially for Gearbox and features one of today’s finest young British sax players, tenor man Simon Spillett. And it is as fresh as today. Or tomorrow. Side One opens with a Dizzy Reece composition, Shepherd’s Serenade. It’s a jaunty, infectious blast — Latin flavoured and immensely catchy. Make sure your loved ones aren’t around to cruelly mock your embarrassing attempts at producing vocalese or dancing along when you’re carried away by this track. Simon produces an uninhibited heartfelt cry from the tenor, signifying and sermonising. John Critchinson offers perceptive and deft precision piano with a lovely sense of time before handing over to a pulsing pairing of Alec Dankworth on double bass and Clark Tracey on drums who then hand back to the leader to put on the finishing touches. Simon Spillett joyfully explores the contours of Dizzy Reece’s hypnotic riff. And then the quartet stops on a dime. 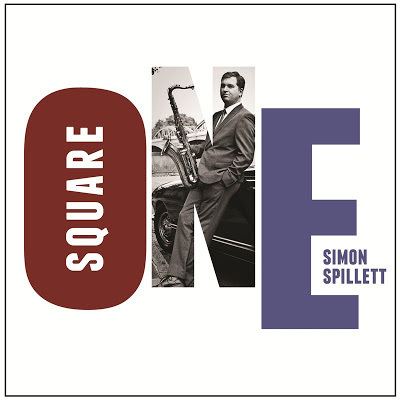 Next up is Square One, an original by Simon Spillett. It is melancholy and hip, with a buttonholing theme stated by the leader before turning into a showcase for John Critchinson. There’s a slinky nocturnal 1960s feel to the piece which brings to mind neon lights, gleaming sports cars and rainy Soho backstreets. Yesterday I Heard the Rain by Armando Manzanero begins with a Coltrane shimmer of sound before turning into a beguilingly pretty ballad featuring delicate, filigreed piano courtesy of John Critchinson and soulful rhapsodising from Simon Spillett. A lonely, searching lyricism is the order of the day. It’s a lovely and eloquent performance. Side Two opens with a blast from the past in the shape of a composition by anotherDizzy — Gillespie’s Night in Tunisia. It is, appropriately, a scorcher with fiery bop pouring from the leader’s horn and Clark Tracey’s pulsing, hypnotic drumming weaving complex patterns with shimmering cymbals. The appropriately titled Bass House by Jimmy Deuchar displays Alec Dankworth’s warm, supple, insinuating upright bass. It’s a witty, insouciant piece — conversational and swinging. John Critchinson provides lyrical, concise and studied piano. The last track is a headlong plunge into Cole Porter’s In the Still of the Night which here inspires an exemplary bop reading from the entire quartet — eloquent, ferocious and fast. Particularly of note is the nimbleness of John Critchinson, dropping seamlessly from solo to support as Simon Spillett takes over for a virtuosic conclusion, making for an exhilarating finale to an exciting album. Gearbox Records should be congratulated on instituting a miniature jazz renaissance in the UK. Time was you could saunter down to your record shop and buy a long playing disc of superb jazz in a stylish cover and hurry home to begin many pleasurable hours at the turntable. Now, thanks to Gearbox, those days are back again.